Victims of fires and other burn injuries are often left with physical and psychological scars that leave them with overwhelming medical bills, lost wages, and life-changing pain and suffering. When someone else caused the burn injury because of their negligence — such as an apartment landlord failing to follow fire safety laws or an employer not following workplace safety regulations — the victim may be able to seek compensation for these and other losses. Insurance adjusters, landlords, and others will work hard to minimize payouts to burn injury victims. That’s why if you or a loved one have suffered, it’s important that you contact an experienced fire and burn injury lawyer as soon as possible after an accident. The attorney could help you hold the negligent party accountable for their actions and potentially get you the compensation you rightfully deserve. 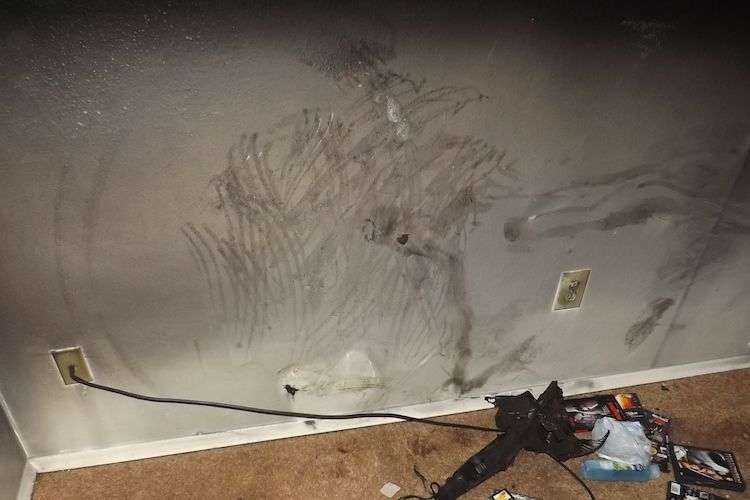 Our burn injury attorneys at Morgan & Morgan advocate for victims of negligent landlords, sometimes getting tenants millions of dollars in compensation and holding the landlords accountable for their actions. They have the experience and deep knowledge to help you navigate this complicated process. You can contact us free of charge to learn if you can recover compensation for physical pain, medical bills, lost wages, and other damages. Recreational fires (in hotels, restaurants, retail outlets, nightclubs, and other such spaces). These are just some examples of burn and fire injury claims. Burns can be caused anywhere a flammable or hot object exists. How victims are burned and how apartment fires start may vary, but a blaze often begins in the kitchen. Cooking, particularly frying, is the leading cause of home fires and injuries, according to a National Fire Protection Association report analyzing fires from 2010-2014, which is among the most recent data available. The report says that cooking equipment is responsible for the following: 46 percent of all home structure fires; 44 percent of fire injuries in the home; and 19 percent of fire deaths in the home. Heating, candles, and smoking are also big causes of home and apartment fires. Heating equipment was involved in one of every five fire deaths at home, according to the NFPA. The culprits can include devices like portable and fixed space heaters, including wood stoves. Smoking is a leading cause of home-fire deaths, and according to the NFPA, two-thirds of such fatalities stem from fires originating in furniture, mattresses, and bedding. Electrical wiring and lighting equipment installation are also contributors to home fires: 16 percent of fire deaths and 9 percent of fire injuries in the home stem from electrical work, according to the NFPA report. Landlords have an obligation to abide by the laws designed to ensure that, to whatever extent possible, tenants are safe from fire injury and wrongful death. When landlords don’t follow the rules, and people get hurt or even die, fire injury lawyers help tenants hold them accountable. Fire and burn injuries often occur in the home, with tenants of apartments, including public housing, potentially at risk of severe, life-altering injuries. Landlords generally have to follow special city, state, and even federal regulations designed to keep their tenants safe from harm. Keeping escape routes clear in shared areas of a building, such as the hallway or laundry room. Neglecting these duties and other fire safety obligations is dangerous and can directly lead to injury in the event of a fire. Unfortunately, careless landlords who shirk their duties towards their tenants are more common than you would think. Is Your Landlord Following the Law? Landlords generally must adhere to local and state laws designed to protect tenants from a variety of hazards, including those related to fires. There are also federal laws for landlords whose properties include apartment units categorized as Section 8 housing. These laws govern the use and placement of smoke detectors, fire extinguishers, sprinklers, and other things. But not all landlords take these laws seriously. If a fire breaks out and a tenant is injured as a result, the property owner could be held responsible for not keeping their property safe for tenants or guests. Smoke detectors serve an important role in fire safety, but if they’re not installed in the right place, aren’t maintained, or aren’t even used at all, tenants are at risk of fire and burn injury or even death. Tenants and landlords alike might overlook these crucial devices. Regulations generally require a smoke detector outside sleeping areas, plus one inside each bedroom, although requirements might vary depending on where you live. Regardless, at the very least, there should be two smoke detectors in every apartment, such as one in a hallway and one in a bedroom. Smoke detectors should also be hardwired with a battery backup. For added protection, they can be interconnected, so if one goes off they all go off. The type of smoke detector can also make a difference. Many apartment fires are slow smoldering, and an ionization smoke alarm, which is cheaper and more commonly installed, might not detect an abundance of smoke. A photoelectric smoke alarm detects smoke much more effectively. The NFPA recommends using both kinds, though most homes are only outfitted with the first one. Talk to your landlord about dual-chambered smoke detectors with both technologies available to receive the best warning possible. Remember to test your smoke detectors once a month to ensure they’re working. Various laws determine if your landlord is required to provide units with portable fire extinguishers, but you should know where one is located. Fire extinguishers may not be in your unit, but regulations might require one to be present on your floor or in an easily accessible area. The absence of a fire extinguisher can cause a fire to spread and result in severe burns and astronomical medical bills. That’s lasting financial, physical, and emotional damage done to a tenant, all due to simple negligence by a careless landlord. Can I File a Negligence Lawsuit against My Landlord? You may be able to file a lawsuit against your landlord, if fire safety precautions aren’t adequate or are non-existent. However, there are instances when landlords use the language of a lease to convince or pressure tenants to not proceed with a lawsuit. Therefore, it’s important to understand your rights as a tenant to prevent your landlord from taking advantage of you. Some leases may have you waive your right to a jury trial in a personal injury lawsuit against a landlord. But in states like New York or Tennessee, a provision like that could be deemed invalid, and you would still have the right to sue. Courts in states like Florida and Georgia can hold a landlord responsible for damages if you can successfully prove negligence on the landlord’s part. Morgan & Morgan’s fire injury lawyers have experience navigating local laws and reinforcing tenants’ rights, and are willing to work to get you compensation and hold irresponsible landlords responsible after they’ve failed to meet their legal obligations. If you’ve been injured in a fire caused by a landlord’s carelessness, contact us for a free evaluation of your case. Landlords are generally responsible for installing and maintaining equipment like smoke detectors and fire extinguishers on their properties. Unfortunately, some of these products do not always work as intended. But in the case of a fire, a serious defect in a product intended to alert or protect families from a fire can be potentially life-threatening. Ionization smoke detectors have come under fire for allegedly failing to detect slow, smoldering fires in a reasonable amount of time. Of the three types of smoke detectors — Photoelectric, Ionization, and the Ionization-Photoelectric combo — ionization smoke detectors are the cheapest to purchase, the most commonly used, and the type of smoke detector found in the majority of deadly house fires. Ionization smoke detectors reportedly take 15-30 minutes longer to sound an alert than other alarms. As a result, the states of Massachusetts, Vermont, and Iowa have banned them, and lawsuits have been filed against manufacturers of ionization smoke detectors, such as Kidde, Inc., BRK Brands, Inc., and USI Electric, Inc.
Williams-Pyro’s Range Queen, StoveTop FireStop, and other manufactured fire suppression devices for stove ranges have also been met with allegations of product defects. 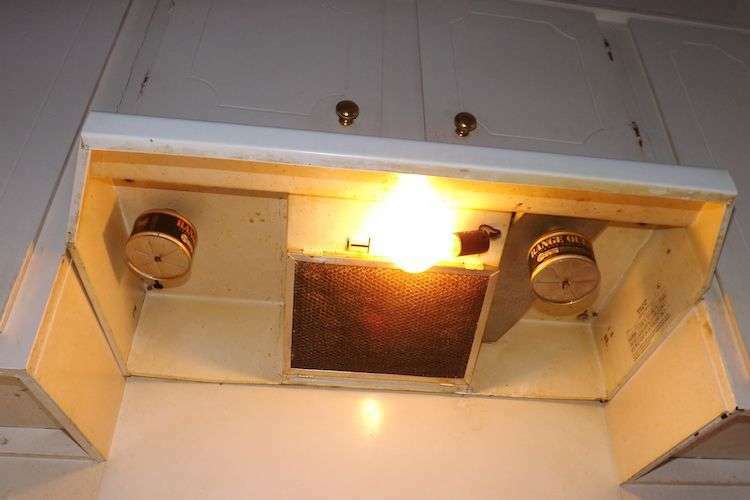 These devices, which magnetically attach to a vent hood and hang above the stove, are used as a one-time fire suppressant. In the event of a fire, these devices are supposed to activate and drop sodium bicarbonate powder on the flame to suppress it. However, there is no apparent evidence that these products actually extinguish fires. Worse yet, the activation of products like the Range Queen can reportedly cause hot grease to splash out of pans on the stove. This not only potentially spreads the fire even further, but can cause grave burn injuries to those in the splash range. As a result, the United States Air Force, Navy, and Army have banned the use of all such products in military housing. Unfortunately, these products are still found in apartment complexes, including low-income housing, all across the country. Some employees in certain workplace settings are susceptible to fire and burn injury. Fires and explosions alone cause 5,000 workplace burn injuries each year, according to the U.S. Occupational Safety and Health Administration. When an employee suffers a burn injury at work, they may be able to file a workers’ compensation claim for wage-replacement benefits. In exchange for these benefits, the employee forfeits their right to sue their employer for negligence. Because insurance companies will try to limit payouts or deny benefits entirely, workers who have suffered a burn injury on the job should speak with an attorney immediately to discuss their legal rights and options. Workers’ compensation benefits do not offer payment for pain and suffering, loss of life’s enjoyment, loss of consortium or disfigurement; however, these damages may be available for burn injury victims who pursue what are called “third-party” claims. In these cases, the worker will file a suit against a third-party, such as a subcontractor or product manufacturer, to seek damages which may supplement their workers’ compensation benefits. Our burn injury lawyers handle both workers’ compensation and third-party claims stemming from a number of accidents, including refinery fires, chemical plant explosions, construction site accidents and chemical exposure. Though first-degree burns can heal quickly, second, third, and fourth-degree burns can cause severe injury and disfigurement. If you or a loved one has faced a severe burn injury, contact our burn injury lawyers today for a free consultation. The statute of limitations in some states limit the amount of time a burn injury victim has to file a claim, so contact us as soon as you can. Those who need an attorney for other practice areas, such as car accidents or medical malpractice, can reach out to us today, too. We’re here to fight for the people in dozens of different areas of law. Friendly and courteous staff. Their work is very thorough and they listen to your concerns with undivided attention. I rate them 10 out of 10. I would highly recommend this law firm to anyone needing an attorney. If the need arises in the future, I would go back to them without any hesitation.